The cooling towers or water cooling towers are equipment that bases their operation on the principle of evaporative cooling, which has been applied in the industry for more than 100 years. Evaporative cooling is a natural process that uses water as a refrigerant and is applied to transmit to the atmosphere the excess heat of different thermal processes and machines. Cooling towers with natural draft. Cooling towers with induced draft. The cooling towers cool the hot water by spraying it in the form of a rain of droplets that fall into a lattice or exchanger filling where they are cooled by means of a current of air, which flows in the opposite direction, dropping the already cooled water into a reservoir that collects and that, in your case will be distributed by a circuit. The air enters through the lower openings that are above the water tank and through the tower from bottom to top. This air intake can occur naturally in the towers of natural draft or forced form through strategically placed fans, as we will explain later when we talk about the types of towers that exist. Heat transfer occurs when water (at higher temperature) and air (at lower temperature) converge in the tower filling, where heat exchange takes place between the two fluids. This filling has the purpose of increasing the surface and the contact time between the air and the water, promoting the cooling efficiency. When evaporating, the water takes the heat it needs from the rest of the circulating water, cooling it. In this process, approximately 1% of the total water flow evaporates for each 7ºC of cooling. This water that leaves the evaporated tower is filtered through the so-called “droplet separator”. This is one of the most important elements for the safety of a cooling tower, since it avoids the risk of water contaminated by the Legionella bacteria leaving freely to the outside. This element, which has losses lower than 0.002%, efficiently reduces the expulsion of water into the atmosphere as dictated by the UNE 100030/2017 standard. According to this norm and for security, the separators of drops must be replaced every 10 years. According to its design, we can find different types of cooling or cooling towers. The fundamental difference between one and the other lies in the way in which they enter the air in the tower to cool the water, which can be naturally or forced by fans. The necessary air flow is obtained as a result of the difference in densities, between the cooler air outside and wet inside the tower. They use tall chimneys to get the desired shot. Due to the large dimensions of these towers, water flows of more than 200,000 gpm are used. They are widely used in thermal power plants. In this type of towers, the air is sucked by a fan located at the top of the tower. They are the most used because they are more efficient than other models. The air is forced by a fan located at the bottom of the tower and discharged from the top. These types of towers are less efficient since the download speed is lower. The air enters through the sides of the tower flowing horizontally through the falling water. These towers need more air and have a lower operating cost than countercurrent towers. 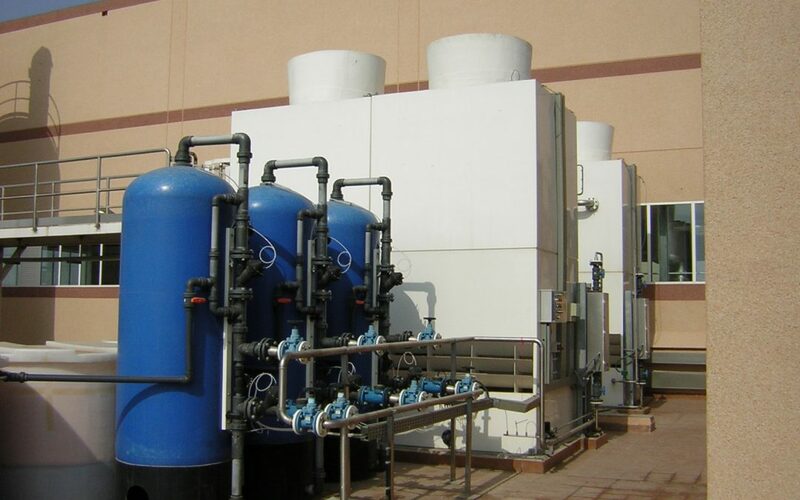 However, the truth is that evaporative cooling equipment is only susceptible to develop the bacterium “legionella pneumophila”, that is, increase the concentration thereof in the water that recirculates, if the water it receives from the network is contaminated and the equipment is not maintained properly, as required by law (Royal Decree 865/2003) that establishes 2 annual inspections and cleaning of the device, they are completely safe.